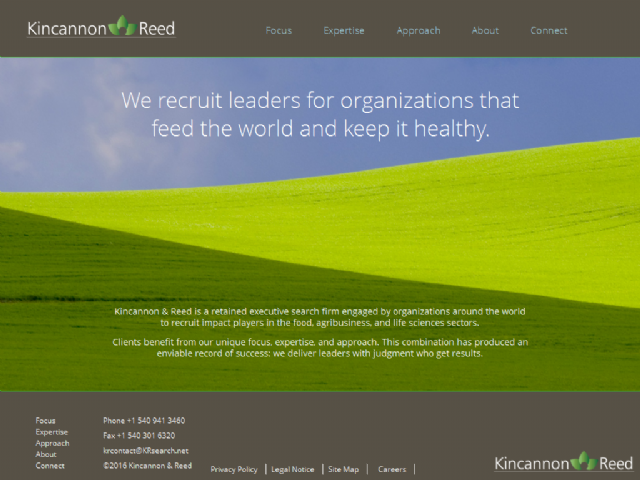 Kincannon & Reed is a retained executive search firm engaged by organizations around the world to recruit impact players in the food, agribusiness, and life sciences sectors. Clients benefit from our unique focus, expertise, and approach. This combination has produced an enviable record of success: we deliver leaders with judgment who get results.